In conjunction with the BarrioArtCrawl, the School of Guerrilla Arts introduces the Barrio Seed Bank. 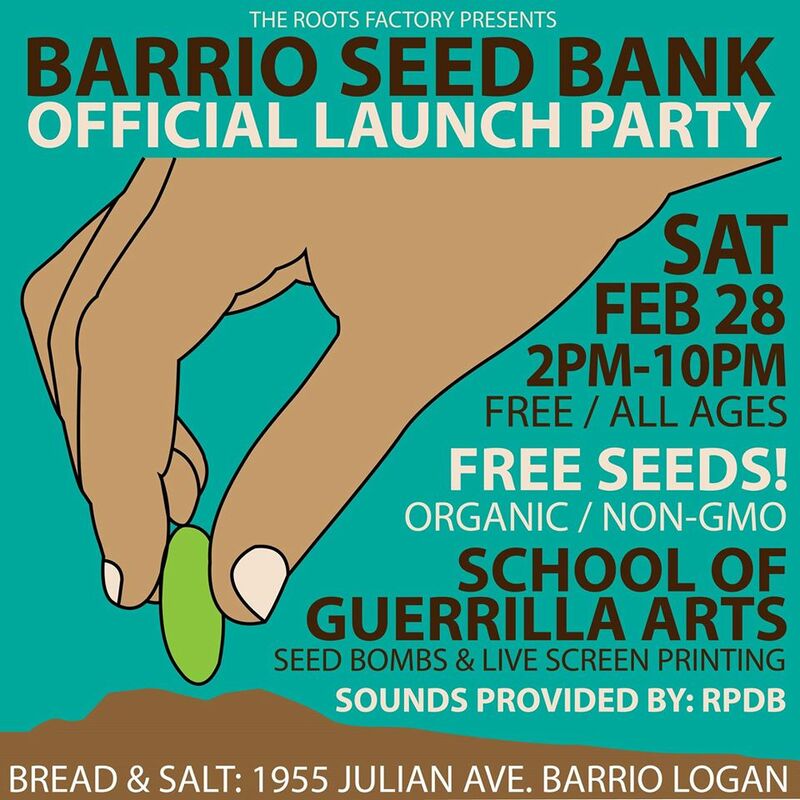 Barrio Logan Seed Bank event flier, February 28, 2015. The Barrio Seed Bank provides clean, non-genetically modified seed accessible and free of charge in the impoverished food desert neighborhood of Logan Heights, on San Diego bay south of downtown. Admission: FREE. All ages welcome! + A comprehensive team of gardening experts will be available to answer questions and educate the community. Come enjoy a dance party in the evening during the Barrio Art Crawl! All are welcome! Feel free to invite your friends to the event. Come show your support!